Old wives tales, half-truths, misunderstandings and some just plain wrong – these are some of the myths (in no particular order) that we hear everyday. Most people are well-meaning in their advice, but it is best to consult with your pet's veterinarian before trusting an assumption! 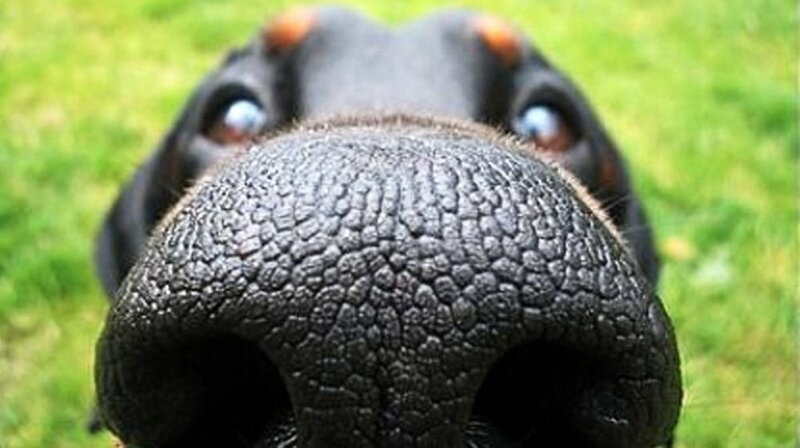 Myth #1: A cold/warm/wet/dry nose tells us something. As I always like to joke – I must have missed that day in vet school! Myth #2: Ticks fall out of pine trees. ticks from falling into my hair when wandering through the woods. Nope. They detect their prey via sensing your breath, body heat, motion/vibration or moisture. This is done while either laying in wait where their host would rest (think: your dog's bedding) or on low, outreaching plants (like ferns that branch out into a trail). No jumping or skydiving involved! And with the appropriate preventatives for your pet, this fear can be altogether avoided!! Myth #3: Grain-free diets are best for all pets. This is considered a half-truth as something was missed in translation. These diets came about for the right reason – to stop feeding high-carbohydrate diets to carnivores (dogs and cats); however, some of these so-called "grain-free diets" are actually quite high in carbohydrates (peas, potato, tapioca) and are not appropriate for a carnivore. The best diet for your pet can be determined by speaking with your veterinarian about your pet's specific needs. Myth #4: All vaccines are good... OR all vaccines are bad. some drugs, when used too frequently, or if used in the wrong manner, can kill you. We should not be giving all vaccines to all pets on an annual basis... they should be individually tailored to your pets needs, lifestyle and age. Myth #5: A pet's mouth is clean/antiseptic. I admit, here at SPAH most of us love when we get a sloppy kiss from a puppy or a gentle "bathing" from a cat. But we also know that 2 hours ago they were cleaning their nether-regions with their tongue. Icky, but true. A sign of affection, definitely! A miracle antiseptic? Not so much. Myth #6: Don't feed people food to pets – it will kill them! should avoid as they can be toxic to pets, (chocolate, most dairy, grapes/raisins, onions and garlic), they most certainly can have a piece of your sandwich or a slice of apple. Just don’t make it more than 20% of the diet (or you will need to balance it) and please don’t let them get fat from the extra calories! Myth #7: Rub their nose in it! urinating in the house or chewing up the wrong item, we often want to 'punish' them. Punishing a pet simply causes them to fear us, and often the misbehavior occurred some time prior to us catching them, which makes it impossible for the pet to understand the correlation. A much better approach is through positive reinforcement training. Please let us know if you are having any behavioral issues and we can teach you a better way. 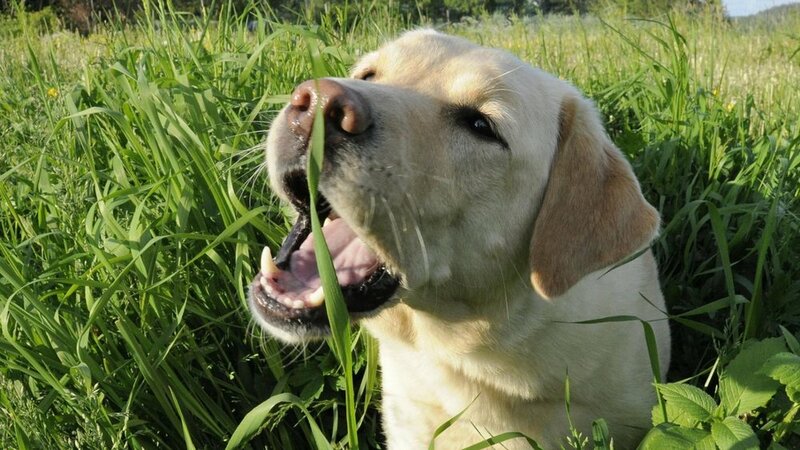 Myth #8: Dogs/cats only eat grass if they are sick or are lacking something nutritionally. Myth #9: All dogs hate cats. All cats hate dogs. ears. Certainly you would not want to throw two unknown pets together without supervision, but most pets can learn to tolerate, and even enjoy, each others company! Myth #10: Pets hate going to the vet! Thank goodness, this is not true, and even is becoming quite the rarity! Here at SPAH, we spend an inordinate amount of time trying to facilitate just the opposite: pheromone sprays, quiet environments, hiding places for cats, loads of special treats, and spending a bit extra time to get them used to us are just a few of the ways we try to make it a pleasant experience for them. We have quite a herd of dogs and cats who are all smiles and tail wags when they get to see us, and actually hate to leave!! If your pet has learned to fear the vet, talk to us about Cooperative Veterinary Care and how we can help make visits to the vet easier on you and your pet! Is there another veterinary "urban legend" you are curious about? Let us know! !